There was a flea market for children on a square near here on Saturday. My boy sold a pile of toys and earned 300 kroner towards the Lego City Police Headquarters he's saving up for. 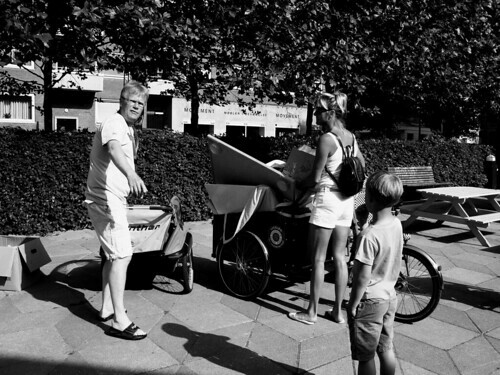 Here's some photos that show cargo bikes in their natural environment. 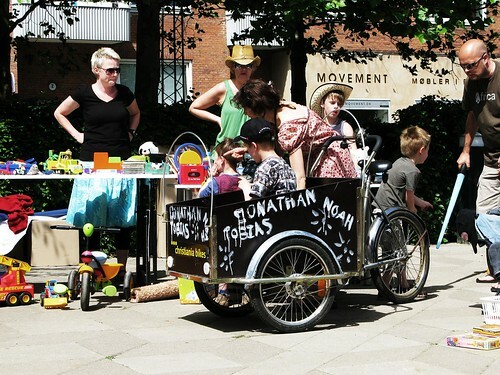 This is the spiritual home of cargo bikes, after all. How to get stuff home from the flea market.